Product information "Nickel plating solution (1000 ml)"
Nickel-plating is one of the most important processes in industry and research. Galvanic nickel-plating allows you to plate metal or conductive surfaces with a robust and wear-resistant layer. Other advantages of nickel layers are their resistance to corrosion and their good solderability. 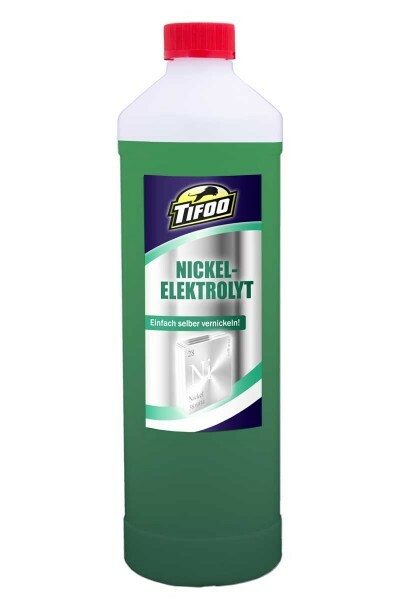 Con el Tifoo Nickel electrolyte, youll be able to create yourself galvanic nickel layers. Attention: Nickel is an allergen, so please avoid any skin contact. Dont breathe aerosols / vapours. Information about dangers related to the handling of chemicals, the needed precautions to take for the use according to its purpose and for the case of unexpected spilling or releasing, as well as the disposal in accordance to the regulations can be found in the safety data sheet, that you can obtain from us via e-mail, fax or mail. 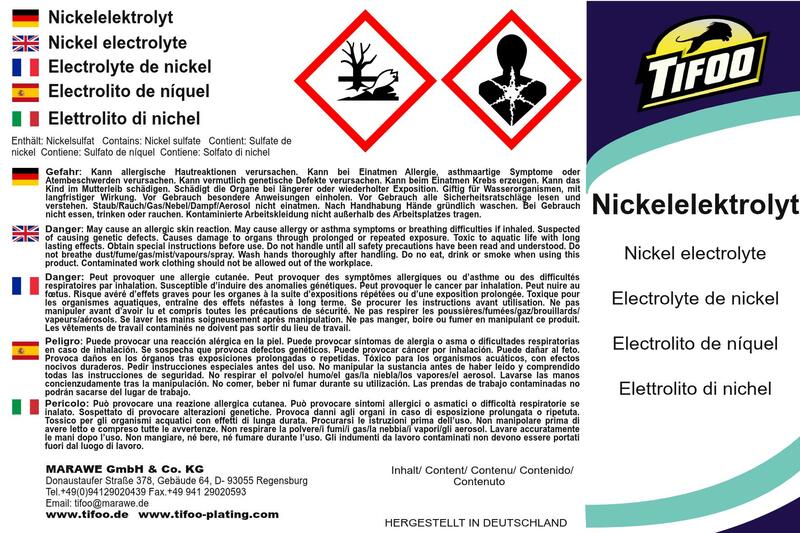 Related links to "Nickel plating solution (1000 ml)"
Instruction manual for Tifoo Nickel plating solution (1000 ml) as PDF file. Customer evaluation for "Nickel plating solution (1000 ml)"